heather & olive: hermés x framebridge. A couple of years ago, my accomplished equestrienne aunt gave me a gorgeous vintage Hermés scarf. 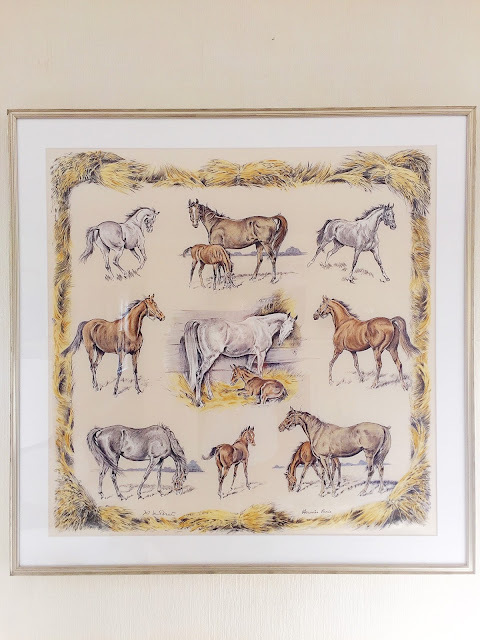 I had always planned on getting it framed so I could enjoy it regularly, but I wasn't quite sure where to have it done because I was nervous with such a sentimental piece. After a little bit of research, I decided to go with Framebridge. Because the size of the scarf (35" x 35") exceeds their standard framing pricing, I sent an e-mail and worked with the super helpful Caroline to figure things out. I ultimately went with a 2.5" mat and the Newport frame--they provided a shipping label and my scarf was on it's way. In less than a week and a half (! ), my frame arrived. I am so, so happy with how it turned out. I love walking into my living room and immediately being drawn to it: the finished product is so dramatic and elegant. I will definitely be using Framebridge again. I love this. And have yet to try Framebridge, but have a feeling I will be contacting them soon! That is amazing and what an awesome idea. Looks so beautiful! 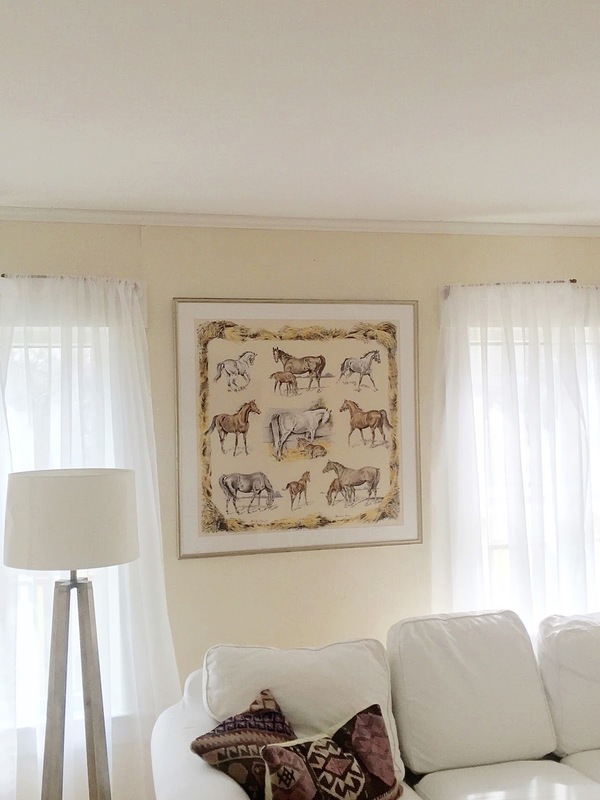 I love equestrian decor... the scarf looks amazing framed! 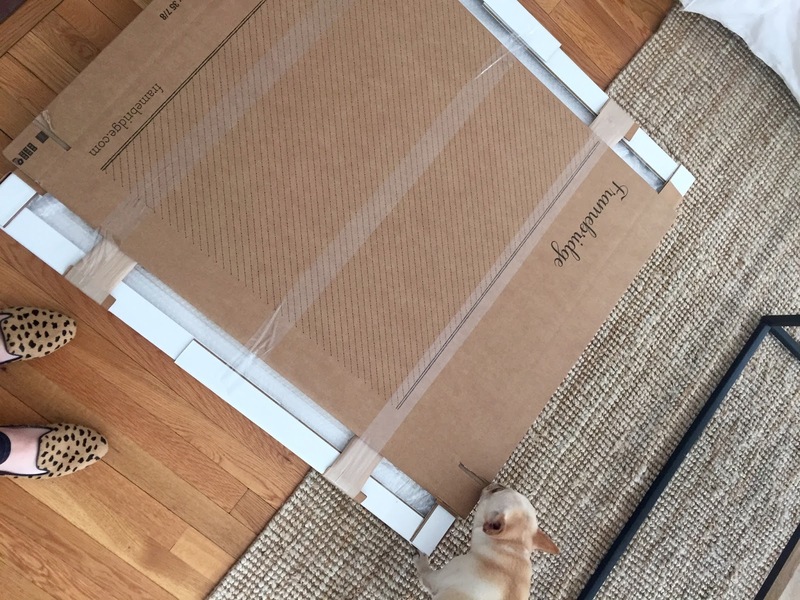 I didn't realize Framebridge would do custom sizes... I want something that is larger than what they offer so will have to email and see if they can do it.